Mi-Teintes is a 160gsm traditional pastel paper. One side is relatively smooth whilst the other side has a honeycomb type grain which holds pastel well. As the paper is coloured in the pulp the shades are highly light resistant. Mi-Teintes is also a paper which will stand up to a lot of working. 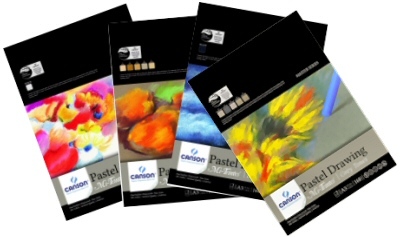 Pads of 15 sheets are available in three sizes which are A5, A4 and A3. Individual sheets are available as a large sheet measuring 500x650mm in a pack of 10.